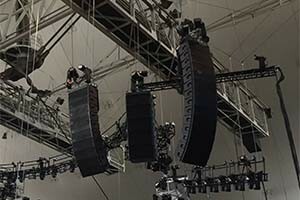 Every production whether a concert, an open air, a galashow, business conference or a corporate event is a interaction of many different departments. 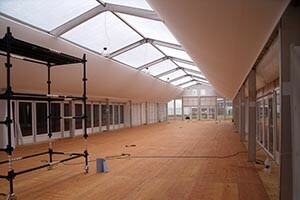 We provide you an extensive advice to find the suitable rental companies and partner suppliers. 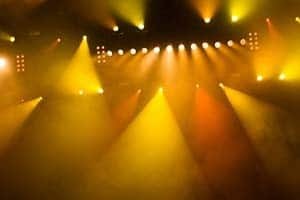 We support and advice you with our wide range of supplier-network and production ressources to create efficient solutions for your event! 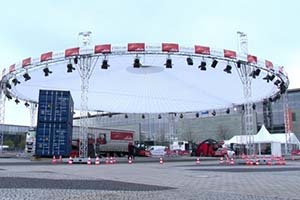 Our recommended contract suppliers are well etablished production companys in the german live entertainment industry. 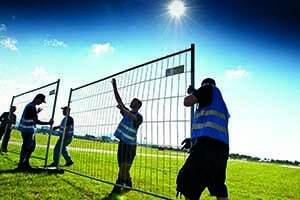 Mobile Fences, Crowd Control Barriers, Security Gates, standard and custom printed blinds for mobile fences. 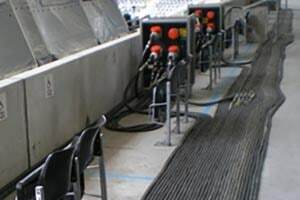 GIGS stage barriers, special elements like security and kable gates, entrance and crowd control gates. 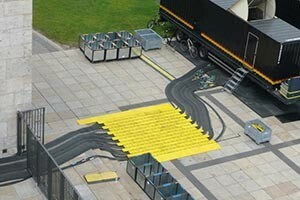 Cable protectors, yellow jackets, gates for mobile fences, emergency exit signals and signage. 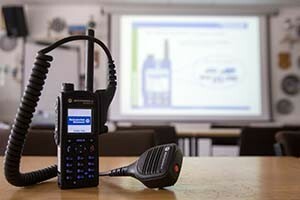 Mobile power supplies, mobile generators, event-experienced electric and infrastructure companies. 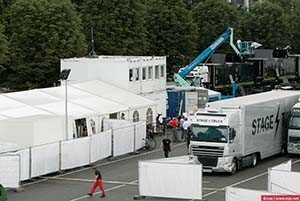 Mobile room-systems like containers for offices, backstage wardrobes & catering. 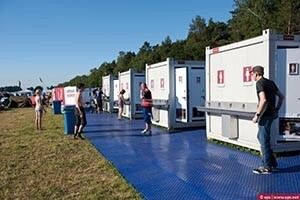 WC-containers, chemical toilets, toilet trailers, urinals, shower modules & shower containers. 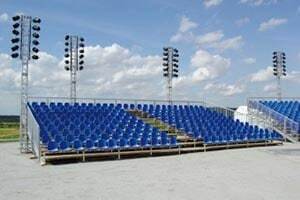 Individual applicable grandstand systems in variable dimensions. 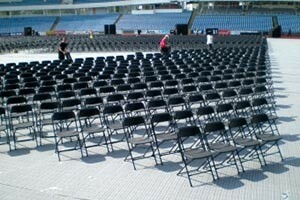 Comfortable seating systems for events. Samsonite A-Chair, Big Boy and Comfort Chairs. Mobile tent architecture like tentsystems, doublefloor-tents, industryhalls. Crane for stage construction, forklifts, telescopic forklifts, all terrain forklifts, transportation vehicles. 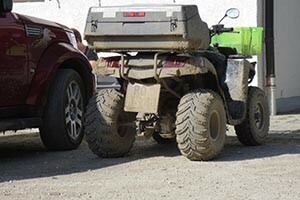 ATVs und Quads für Open Airs, Golfcars, Transport- & Produktionsfahrzeuge. We advice you and recommend you the suitable lightning company for your project. Support to find the suitable sound company. Dry hire, rental companys and fullservice suppliers. 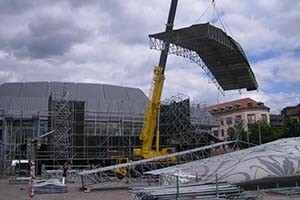 Custom stage-constructions and steel-solutions for every kind of event. 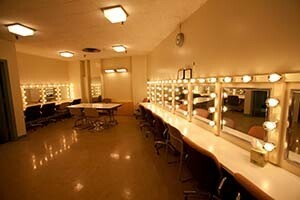 Interiors for dressing rooms, backstage and artist rooms, crew-catering and wardrobes. 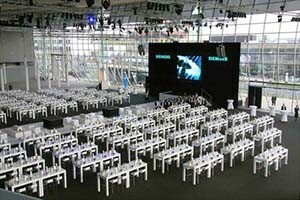 Interior rental companies for corporate, conferences, galashows. 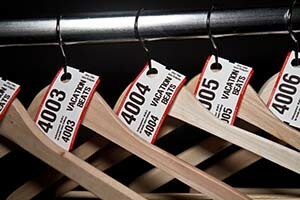 Consumable materials like for example: backstagepasses, wardrobe labels, tape, cable ties and much more.